When you combine either brick & stone slips with more modern lighter building methods, you get the perfect combination. They give the exact same finish as full brick and stone builds, and yet there are many added benefits. The idea of brick & stone slips on lighter building methods isn’t a new concept and is growing in popularity. When you use brick & stone on a project, it gives a feeling of durability and sturdiness. It delivers too, along with a desirable aesthetic effect. This doesn’t mean that you cannot obtain that look in other ways. 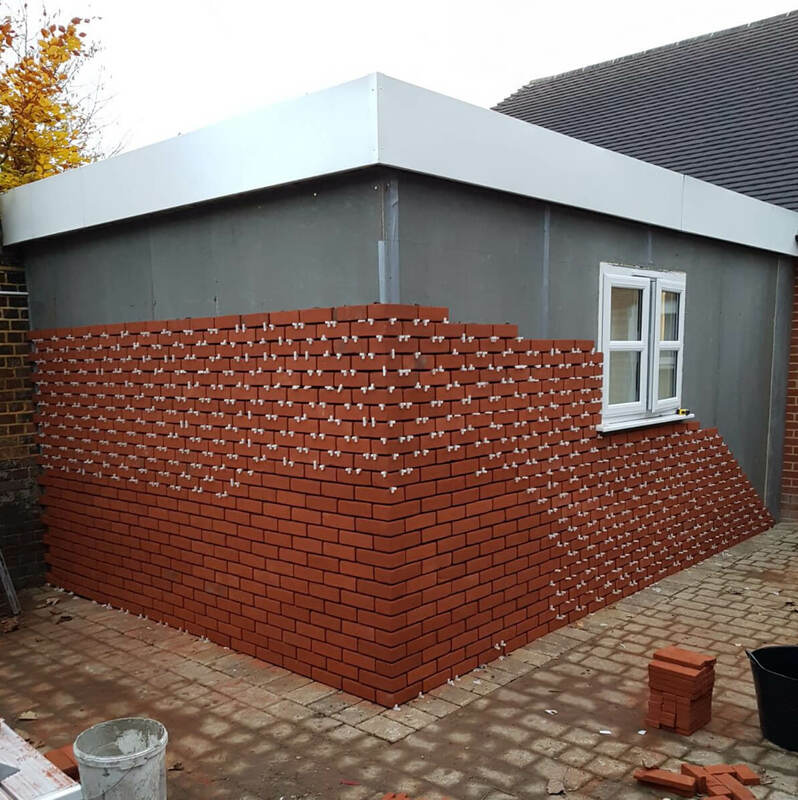 Newer methods of building can help you reach the same level of quality and aesthetics through using alternative materials such as cast stone slips and brick slips. When people use brick & stone slips for their projects, you can’t tell the difference between that and full hand laid brick & stone walls. The aesthetic achieved will not have a noticeable difference. Many houses and commercial buildings use slips, although you will probably never be able to tell. Slips are not a structural part of a building, whereas a full brick or stone wall would be load bearing. You build the frame using the likes of timber and SIPs (Structural insulated panel). These are quality building materials that offer energy efficiency for the finished project. Slips are then applied as a façade in a fraction of the time. Slips are a fraction of the weight of full-size bricks and stone blocks. This results in a reduction in costs for the transportation of materials to the site and manpower. You can enjoy the lower costs without sacrificing on the quality of the finished project. While these products are lighter, that doesn’t mean they are less sturdy. The lightweight nature of our products doesn’t affect the finish you obtain. In fact, they are undistinguishable from full brick and stone walls. This leaves you with a lower cost for your build project but with a high-quality finish. Regardless of whether you are working on interior or exterior walls, our cladding is perfect for the job. We use recycled materials where possible when we manufacture our products and ensure that they have good insulation and U-values. As a result, many of our products are very green. We believe that everyone should be able to afford top quality wall cladding. Within our range you will find products that match the aesthetic and functional needs of all kinds of properties. This may be traditional work or contemporary finishes. The selection we have is suitable for everything from DIY projects or use by professional architects and construction firms.